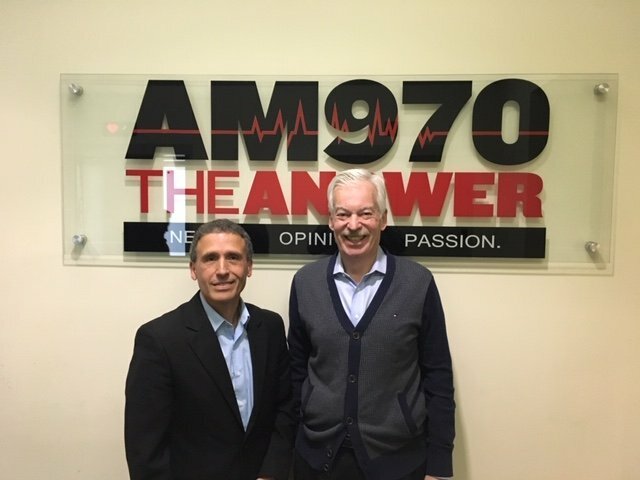 The following is a conversation between Plinio Ayala, CEO of Per Scholas, and Denver Frederick, Host of The Business of Giving on AM 970 The Answer in WNYM New York City. Denver: There is an organization headquartered in New York City that you need to know about. Over the past 23 years, it has helped change the lives of 9,000 individuals, mostly from overlooked communities, and has helped provide them a good career through tuition-free tech training. It’s called Per Scholas. And it’s a pleasure to have with us here their President and CEO Plinio Ayala. Good evening, Plinio, and welcome to The Business of Giving! Plinio: Good evening, Denver! Thank you so much for having me. Denver: Tell us about Per Scholas and what the organization was created to do. 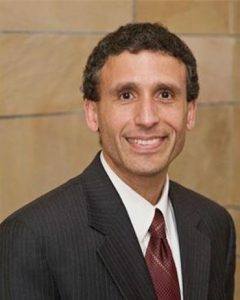 Plinio: I think every staff member and board member in the organization believes that talent is ubiquitous, and as such, we know that there is incredible talent in communities that is often overlooked – disconnected communities. Our mission is to find those individuals and provide them with quality IT training so that they can move into successful and transformative IT careers. What I quickly realized was that people that had a job tended to do better, and so I quickly equated a job to something more. And that really had an impact on me as an adult: How do you build these opportunities for individuals so that they can go out and lead meaningful lives? Be gainfully employed? Be able to support their families? Denver: You grew up in the South Bronx, Plinio. It was during the 1970s and 1980s. And as I recall, that was a pretty tough time for New York City, and even more so for the South Bronx. Tell us about that time for you and the influence it had on your current position. Plinio: It was a tough time as I reflect back on my days on Tremont Avenue and Southern Boulevard. It was a time when the Borough was missing pockets of its community — people had left; buildings were abandoned – and yet there was this sense of family still, this desire to want to do more with your life. What I quickly realized was that people that had a job tended to do better, and so I quickly equated a job to something more. And that’s really had an impact on me as an adult: How do you build these opportunities for individuals so that they can go out and lead meaningful lives? Be gainfully employed? Be able to support their families? When I saw that growing up, in those few instances that it happened, it was quite transformative. Denver: And even in your own family, as you said, when your dad was working, things were pretty good; and when he wasn’t, not so good. We see thousands of people every year, and it’s never really an issue of talent. These individuals are super smart, super gifted, highly gritty, with a tremendous amount of motivation. What’s missing in those communities is often that opportunity. Denver: So, it wasn’t a lack of will; it was really a lack of opportunity. Plinio: That’s exactly right. We see thousands of people every year, and it’s never really an issue of talent. These individuals are super smart, super gifted, highly gritty, with a tremendous amount of motivation. What’s missing in those communities is often that opportunity. Denver: So how did Per Scholas get started? How did it materialize as a nonprofit organization? Plinio: We originally had the mission of bridging the digital divide, specifically in the South Bronx, with the recognition that there was this technology chasm between the haves and have-nots. So, if you could afford a brand new computer, you were likely to enter the digital age. And if you couldn’t pay that $4,000 cost for a PC, you were not. And so we founded the organization with the intention of rebuilding used computers and getting them back out into the hands of people that couldn’t afford the new ones. And by the way, at its peak, we were producing 10,000 computers a year and connected about 100,000 families during that period of time for the organization. But we had to find people in the community to fix these computers. So we found six; we trained all six, and within six months, they left us! And when we started poking around as to why that happened, it was clear they now had a skill that translated to a lot more money. And that’s when we realized that there could be a real, unique opportunity in training folks and moving the needle around economic equity. Denver: You were on to something! Denver: Absolutely. We’re going to talk about the program in a second, but how do you determine who gets to enroll in Per Scholas? Plinio: We have a very robust assessment and recruitment process. Someone has to come in and spend basically a day with us where they have to complete a number of assessment tools. We test for reading and math levels; people have to be at the 10th grade in both. They’ve got to have a high school diploma. And they’ve got to have this willingness or inclination to want to be a technologist. We assess that through a number of tools that we implement during that day activity with that student. Denver: Give us a snapshot of your student population in terms of race and gender and age. Plinio: Thirty-five percent of our students are youth between the ages of 18 and 25. Thirty percent are women, and we’re really proud of that. We’re trying to grow that number. As you know, that percentage in the corporate community is very, very low. So, 30 percent are women, and 90 percent are people of color. By the way, we see five people for every one person we select, and so this is quite a selective process to get into the program. Denver: Yes. Tougher than most colleges, as a matter of fact, at 20 percent acceptance rate. These courses are roughly 15 weeks or so, give or take. What specifically are these courses in? What is it like for an enrollee to spend three or four months with you? Plinio: The courses really are driven by what our corporate partners say they need talent in. And so, we’re very in-tune in sort of understanding what the corporate community is needing as far as IT talent is concerned; and then we take that information, and we can build curriculum that can train people for those skills that are relevant today. And it will range anywhere from IT support – these are the folks that will go in and set up your network or fix your computer when it’s down – to software testing, software development. It’s really a very interesting group of courses that we have developed, but all of them have really been created with employers in mind. Denver: How do you work with these employers? What’s the process? Do they come in? Do you meet with them? How do you communicate in terms of finding out what they need today? Plinio: It’s taken us a long time, Denver, to build the infrastructure to be able to create these really meaningful relationships with employers. But I think we’re there. We have been able to develop the expertise to go out and meet with members of the corporate community and ask very pointed questions around what their talent gaps are…and then use that information in collaboration with them to build curriculums so that we can go find people in overlooked communities, train them up, and provide this amazing pipeline of talent for these corporations to consume. Denver: In addition to the technical training, do you do anything around life skills and things of that sort so that these people are going to be able to succeed in their workplace? Plinio: Absolutely! So you asked a question about the experience of a student at Per Scholas. The training is incredibly comprehensive. So along with the technical skills training, we provide extensive soft skills development. We provide job placement at the conclusion of the training. And more importantly, I think, we provide this wrap-around set of services that allows individuals to continue to get assistance from us while they’re in training… and two years post-training, so that we can make sure that the footing for our students remain solid after they leave us. Denver: Talk a little bit more about those soft skills. How much time do you dedicate to that? What are the ones that the students seem to really need to work on? Plinio: About 20 percent of our training is dedicated to soft skills. Denver: Like a day a week? Plinio: A day a week, exactly. We tend to ask our students to know what they don’t know, and if they’ve never been given soft skills training, then they’re deficient in a number of areas that might preclude them from getting a job: How do you interview? How do you fill out an application? How do you get ready for that experience in the workplace? But it’s much more in-depth than the cursory resume writing class that you might take in one of these courses. It’s really building additional skill sets that allow individuals to be successful once they land the job: How do you negotiate a raise with your boss? How do you work in a team setting? How do you write a proper email to your supervisor? All those life skills… those soft skills are covered in our training. Denver: Do most of the people who start the program, Plinio, go on to complete it? Plinio: About 85 percent of our folks graduate from the program, and a similar percentage end up in jobs. And I think what’s impressive about that number is that we don’t believe in social promotions. You’ve got to meet certain standards within the program: You have to have a 70 percent grade point average. You can’t be absent more than twice, or you’re automatically dropped from the program. And so, people rise to those expectations. And I think for us, if we’re graduating you, there’s an implied promise for the graduate and for the employer that they’re ready for the workplace. Denver: You talked about the employers there. How many jobs in the American economy would you say are open right now that require the kind of skills that you train for? Plinio: Well, I’m going to step back for a second. If you recall, when the great recession hit in 2008, there were about three million jobs in this country that went unfilled. It seemed so counterintuitive, so many millions of Americans out of work. In IT, we project that number to be very similar by 2020. So there’ll be millions of jobs open in the IT sector in the next several years because we’re not producing enough talent in our system to satisfy the growth needs of our corporations. The average salaries for our students are about $40,000 to start. And when you consider, Denver, that prior to our training program, they’re earning less than $10,000, that’s a 400 percent increase in their earnings in less than 15 weeks. Denver: You said 85 percent of your graduates go on to find jobs. Now, how do you help them in this regard? What is the more or less starting average salary for these graduates? Plinio: We have members on staff that have outstanding relationships with our corporate partners. And in essence, we are getting real-time information from these corporations saying, “Look. I need three software testers. I need two Java developers. I need three IT support folks.” And we will go through the graduating class and identify the right individuals for that corporation and place them in the job. The average salaries for our students are about $40,000 to start. And when you consider, Denver, that prior to our training program, they’re earning less than $10,000, that’s a 400 percent increase in their earnings in less than 15 weeks. Denver: Very impressive. You were talking about the need for IT jobs. Well, one area that I know that the corporate marketplace is really in urgent need of talent is around cybersecurity. As a matter of fact, I’ve read that they’re estimating another million-and-a-half or two million jobs are going to open up in the next couple of years. You started a partnership with Barclays Bank a couple of years ago. Tell us about that and how that is growing that area. Plinio: I think the partnership with Barclays Bank exemplifies how we can work with employers. There’s no secret. You kind of read a story a day about a corporation’s security being compromised, and so there is this huge need for cybersecurity experts to be able to protect our information. And so we were able to work with Barclays to create a customized training curriculum in partnership with their security folks, in partnership with many of their vendors, to really tackle this issue of the dearth of cybersecurity talent. And we produced upwards of a couple of hundred people already, all going into these jobs. In that training track, the starting average salary is about $60,000 to $65,000 a year. In many ways, we’re rebuilding the middle class. When you can land a job making $60,000 to $65,000 a year to start, and then see that salary increase over time, you are transforming not just the life of the individual that graduates, but you’re also transforming the lives of family members, rebuilding communities. It truly is transformative. Denver: These are good jobs, and I think that’s something that people have to appreciate. And not only are the starting salaries good, but their chances of really increasing that fairly quickly are very much alive. Plinio: It’s significant when you think about this chasm between the haves and the have-nots just growing in this country. In many ways, we’re rebuilding the middle class. When you can land a job making $60,000 to $65,000 a year to start, and then see that salary increase over time, you are transforming not just the life of the individual that graduates, but you’re also transforming the lives of family members, rebuilding communities. It truly is transformative. Denver: Per Scholas has a well-earned reputation for advance data gathering. You’ve done that actually right from the very start. How has that helped advance your work and propel the organization forward? Plinio: When we take someone’s donation, there’s this overwhelming need to return as much as we can for that grant, for that support, and I think where we’ve been able to do that is by, as you’ve mentioned, be very thoughtful about how we use data. We collect all types of data points to ensure that the program continues to function and perform at the highest of levels. If it’s not, we can course-correct really quickly because we have the data in place. We know where to recruit; we know what employers to work with. We know where our students are, how much they’re earning. All of that information is incredibly important and informs how we continue to modify and adjust the program to be as successful as we can for the people that we’re serving, but also for the investors who are providing support to the organization. Denver: You’ve also done a couple of randomized control trials. Denver: Tell us quickly what those are… and also tell me, Plinio, the stress that can put on an organization when you’re continuing to do your day-to-day work. Plinio: It is the gold standard of evaluations. The medical industry does it all the time. With sort of drug testing, you have placebos, and then you have people that are actually taking the drug, and then they get evaluated over time. Both studies required us to actually recruit twice the number of people that we could train. Half went into a control group, half into the treatment group. And then both cohorts, we evaluated over time. Both reports indicated by a lot in almost every category that the people that went through our training program did better – landed better jobs, earned more money, were able to acquire benefits. They expressed satisfaction with life in the job at higher rates than those that did not. It was incredibly important for us to do it not just once—and people thought I was crazy when I said, “Go ahead,” and did it the second time—because it does require the organization to bend a little bit. It creates stress points that you didn’t realize would be created over time. People had to adjust to this new way of doing business. There was this morality that we had to deal with: How do you turn people away? This is not what we do. But we thought for the sake of the field and proving that workforce development, at least this model, worked was incredibly important. Going forward, we decided to do that. But it wasn’t without pain. What communities are you in currently around the country? Plinio: We were founded in the South Bronx in New York. We’ve opened an office in Brooklyn, and then we began our expansion strategy in 2012. We landed in Columbus, proceeded to open operations in Cincinnati, then at Silver Spring; Maryland, right outside of DC; Dallas, Atlanta, and then this year, we will launch offices in Boston and in Newark. Denver: And you also have recently announced a $31 million growth capital campaign. What do you hope to achieve with that campaign? And who are some of your early supporters? Plinio: The growth strategy campaign…just to give you some context… when we first started the organization and this training initiative, we trained a half dozen folks and have grown that very deliberately and intentionally over the last 20 -some odd years. We trained 1,600 people last year. Denver: And how many in total since you were founded? Plinio: About 9,000. But we need to do more. There are many more people that could benefit from this program. And so, this catalytic funding that we are pursuing will allow us to grow pretty significantly. So there are three main goals that I think we want to accomplish with this plan. The first is to grow our service level from 1,600 last year to 4,000 by 2023. Denver: That’s a bold vision. Plinio: It’s huge, but quite doable. And there’ll be 4,000 people every year going forward after 2023, and we’re really excited about that. And we think that that number is going to be big enough to really foster equity and diversity in the tech sector. That’s sort of our second goal: How do you change the face of technology in the corporate community? And then the last piece, which I think could be transformative for the field, is: How do you redefine scalability and sustainability? Let me just spend 30 seconds on that. 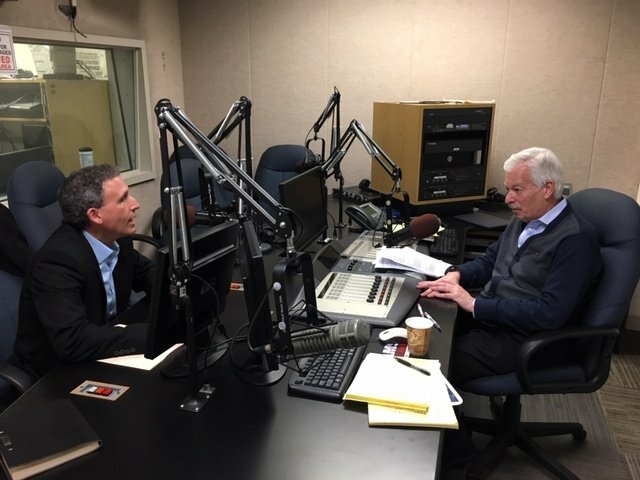 We have been able, over time—and I talked about sort of building the capacity to work with employers in a very meaningful way—the value proposition that we provide employers is significant and growing every day. They have recognized that it is a business imperative to invest in an organization like Per Scholas because we’re creating this meaningful pipeline of talent that they absolutely can consume… and need. And so, we are creating these customized models. So you can come to me, Denver, with your corporation and say, “I need 100 Java developers.” We will sit together and create a curriculum, and then I’ll go find the people in the community, train them, and then make them available to you. And corporations are beginning to pay, covering the costs. And so that diversification of funding for us is going to be incredibly important to allow us to meet the scale numbers that we are seeking to achieve. Denver: It really is a wonderful model. It’s very similar to what Year Up does…and places like that… where they’re—it’s really not charity. It is an investment on the part of corporations, and they pay to get this kind of pipeline of talent because they know what it does to strengthen their company. Plinio: It makes great business sense, doesn’t it? Denver: It really does. And also, I think to scale in these days, you need an earned income model. You just can’t do it on the back of philanthropists alone. Plinio: That’s correct. We’ve been dependent on the largesse of foundations and corporations, but that can only take you so far. And I think this additional piece to our model is going to move us on a very, very fast trajectory to grow the programming. I think we are true to our mission…I think there are many organizations that try to do too many things, and I think over time, they dilute their effectiveness. We are an IT training organization. That’s what we’ve been, and that’s what we will continue to do. And you can see the transformation that we’re having in the lives of folks because they come back to us, and they share their stories. Denver: Let me ask you a little bit about your workplace culture at Per Scholas. What do you believe is the most outstanding aspect of it, which both attracts talent to work there and keeps them there? Plinio: I think we are true to our mission, and let me step back and define that a little bit. I think there are many organizations that try to do too many things, and I think over time, they dilute their effectiveness. We are an IT training organization. That’s what we’ve been, and that’s what we will continue to do. And you can see the transformation that we’re having in the lives of folks because they come back to us, and they share their stories. Let me share one with you. I was lucky enough to meet this young woman in Dallas named Tara Fuller a couple of years ago. And she shared with me that prior to entering our program, she had lost her job, and she was having a real tough time entering the workplace again. She had found some part-time work – she was a mother of five trying to support her family – and it just wasn’t enough. And even though she was able to access some benefits, all of that added together wasn’t enough to cover her costs. She eventually lost her home, became homeless, had to move in with her mother. Found our program, completed the training, got her certifications. Fast forward, she’s gotten three promotions since she landed her first job two weeks out of training. She’s moved out of her mom’s home. She has bought her own home. It’s a tremendous story. Denver: Going off of public assistance. Plinio: Exactly. We’re talking about huge, huge return to our economy, and that’s exactly what happened with Tara, and what happens with all of our students every single year. And so when our staff sees that, they’re incredibly motivated to continue to do the good work that we’re doing. Denver: Sometimes it’s hard to see the impact of what you’re doing. And what you said a moment ago about staying true to your mission, I’ve also noticed that’s a wonderful way in an organization to avoid burnout. It’s those organizations that try to take on too many things… you just wear your people out. But when you stay disciplined like that, they can have a decent work-life balance and be successful in their careers. Let me close with this, Plinio. I know that you have worked with the mayor’s office on re-envisioning the New York City workforce system, but let’s take a look at this from a national perspective for a moment. How do you think the way we’re preparing the young people for the future of work– with robotics, the role of college education, et cetera, is going to change over the course of the next decade? Plinio: Denver, I think our schooling system in this nation has failed a great many. I think we have continued to push this post-secondary approach as the sort of silver bullet for many of our young people, only to find that we’re not training people in the skills that they need to be able to enter the workforce right after graduating these colleges. They’re ending up with tremendous debt. In many cases, they have to go out and get additional training to be able to get into work. And when you look at an organization like Per Scholas where a college degree is not necessary to be able to land a full-time meaningful career in the IT sector, there’s got to be a way of rethinking how we are developing our talent so that there are more options available to our young people, and we’re not pigeonholing them into sort of just the college situation. And I’m not suggesting that college isn’t important. I think it is very, very important for a segment of our population, but it doesn’t have to be for all. And I think we’re proving that every day through our program. Denver: I think you’re absolutely right. And it seems to be something that we’ve intellectually got our arms around, but not emotionally yet. Still we fall into that trap of: you need to go to college, and that really is beginning to change. Well, Plinio Ayala, the President and CEO of Per Scholas, I want to thank you so much for being here this evening. Tell us about your website, what listeners will find there, and how they can help support this work if they’re so inclined. Plinio: Denver, it’s a pleasure. Thank you for having me. 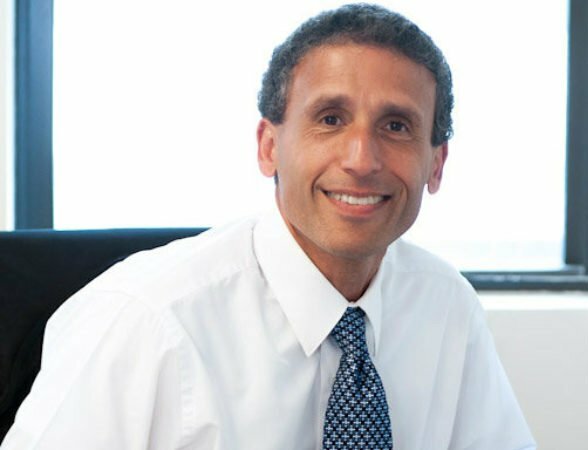 Please visit www.perscholas.org to learn more about our organization. We are a one-of-a-kind, evidence-driven, proven model that’s having tremendous impact in communities across this country, and we would appreciate your ability to continue to support this organization. Thank you. Denver: Well, you’ve convinced me. Denver: Thanks, Plinio. It was a real pleasure to have you on the show. Plinio: It was my pleasure. Thank you!